A QUIET Maroochydore cul-de-sac is now home to coffee roaster Vincenza’s new-look barista training facility. Since 1994 Vincenza has been based at Newspaper Pl, an semi-industrial pocket of Maroochydore near Sugar Rd that’s home to an eclectic mix of small businesses selling everything from pools to vintage furniture and, of course, the Sunshine Coast Daily newspaper. Every week Vincenza delivers about two tonnes of coffee to cafes and venues from Caboolture to Tin Can Bay and inland to Maleny, with about 80% of its product landing in this area and the rest going to Sydney and the Central Coast, New South Wales. The business has provided barista training to customers for years, says managing director Craig Davis, but last month they took it to a new level with the refurbishment of an upstairs space into a “simulated cafe”. “We sell a fantastic product, but it’s the person behind the machine that makes or breaks it,” Mr Davis said. Since opening the facility, feedback from participants had been great, Mr Davis said. “We were booked out three weeks in advance,” he said. 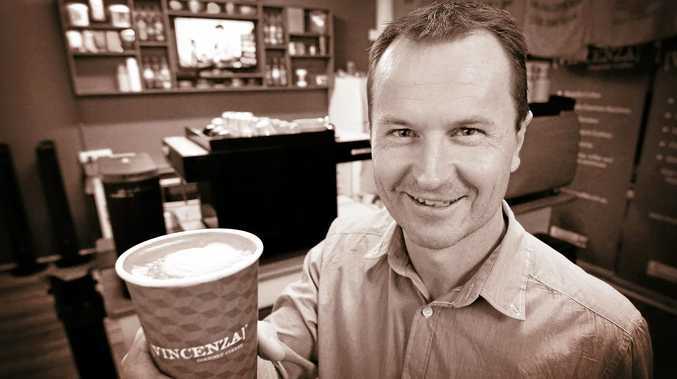 While most of his existing customers preferred Vincenza run its training courses at their business, where staff could be trained on the machines they would use every day, the Newspaper Pl courses had attracted school leavers, students and people looking to pick up work in hospitality, Mr Davis said. Participants learn how to use and maintain coffee machines and grinders, and learn how to work with a variety of types of milk. The focus, Mr Davis said, was on giving people practical skills to make great coffee that would do Vincenza’s quality beans justice. Vincenza is not a registered training organisation, and the certificate of attendance participants gain after completing the Vincenza Basic Barista Course is not a formal qualification. The course costs $110, runs for about three and a half hours, and is held on Monday mornings and Thursday afternoons at 2/12 Newspaper Pl, Maroochydore. To book, contact Vincenza’s Chris Brockhurst on 5475 4332 or text your details to 0418 708 867.